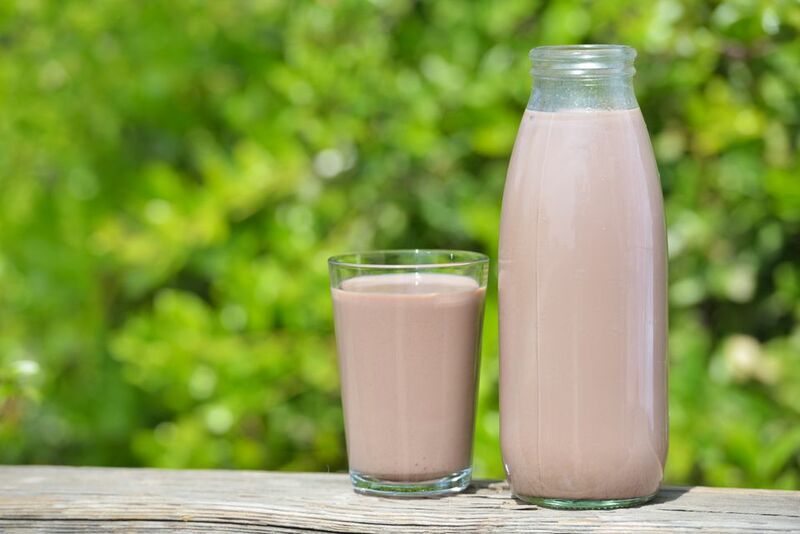 Chocolate milk is easy to make at home, but not from a chocolate syrup bottle, with real cocoa powder. Another plus to making your own chocolate milk is knowing that you and your kids aren't drinking something full of ingredients you can't pronounce. This 3-ingredient recipe is easy and gives you total control over what goes in your milk. Pour the milk into the glass and slowly add cocoa powder while blending with an immersion blender or spoon. An immersion blender works best because it reduces clumping of the cocoa powder. Add powdered sugar until well blended. Serve immediately or cover and place in the refrigerator until ready to drink. If you do refrigerate it, make sure you give the milk a good stir or shake before drinking. The cocoa powder and sugar may gravitate to the bottom, creating a "sludge." Making this chocolate milk a cup at a time can be time-consuming, especially if you have kids, so you can make this by the half gallon or even gallon. Blend the milk with the other ingredients using a regular blender instead of an immersion blender. Pour it into a leak-proof plastic pitcher. Just shake the pitcher and pour when you are ready for a sweet treat. You can make hot chocolate with the same ingredients. Simply heat milk on low and add the cocoa powder and sugar. Stir until well blended and to the desired temperature. Serve immediately. Top it with marshmallows or whipped cream. Marshmallows are easy to make at home, and therefore easy as an additional project.